If you’ve been known to whip up a breakfast sandwich on occasion, whip no more until you read this, because today you’re going to learn how to make your very own sourdough English muffins that’ll knock the crumbs off of any other English muffin you’ve ever had. Yeah, they’re that good – lightly browned and crispy on top and bottom, soft around the edges, and light, fluffy and full of nooks and crannies in the middle. And of course, because they’re made using some of that sourdough starter you’ve been cultivating, they’re also healthier and easier on your belly than most of what you’d find in a store. So kick that breakfast sandwich up a notch with these made-from-scratch sourdough English muffins. Plan to start them a day ahead, because they do need to sit and develop for a bit. Other than that, they’re super easy to throw together. You’ll start by mixing the flour and starter and letting it sit overnight. In the morning, add in the rest of the ingredients. Knead the dough together for a few minutes, then let it rest for an hour or so. Cut the dough and cook them on a griddle or cast iron pan for a few minutes per side. 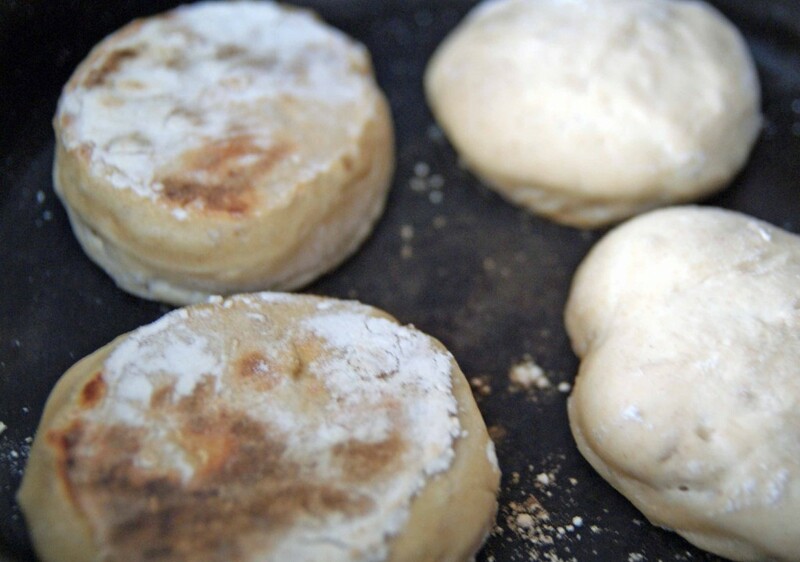 The sourdough English muffins will puff up and be lightly browned to perfection. Cut them in half and slather them with butter and jam. Or my personal favorite, make a sausage and egg sandwich out of it… Yum! 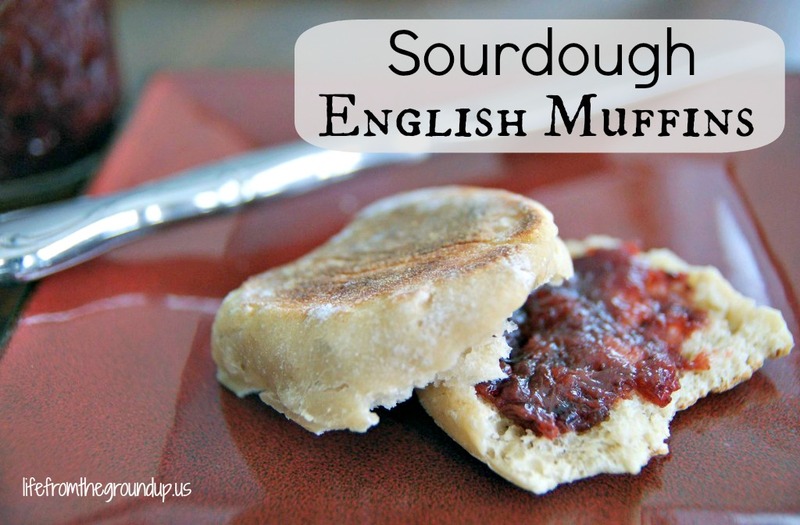 No matter what you do, you’ll find that these sourdough English muffins are way better than store-bought! In a medium bowl, mix the sourdough starter and the milk, stirring to dissolve. Add in the flour, mixing well. 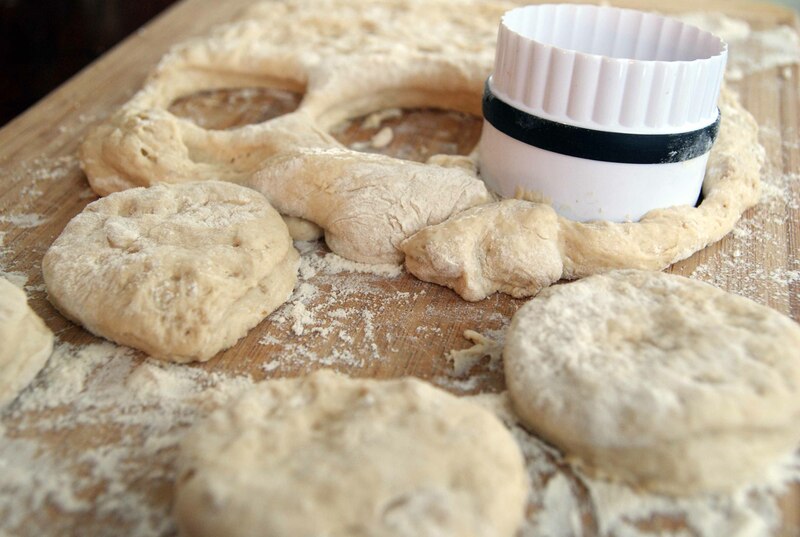 Dough should be workable and a hair on the sticky side, so add a little extra flour or water as needed. Cover and let sit for 12-24 hours. The next day, add the salt, honey, and baking soda. Dump onto a floured counter and knead for a couple minutes (wetting your hands/fingers makes this easier!). Plop the dough onto a floured cutting board, gently pat down to about 3/4" thick, and using a glass, biscuit cutter, or your other favorite round implement, cut out the muffins. Let these rest for another hour. Heat a griddle or cast iron skillet to medium, then place the muffins into hot skillet. Cook for about 5 minutes per side, or until toasty brown. They should puff up a bit while cooking; if not, you can always use them as hockey pucks. 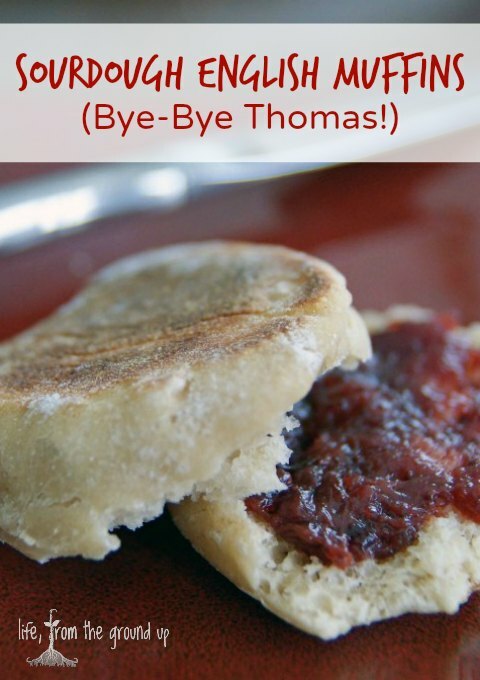 Cut in half and top with preserves, or make your own "Mc"-muffin. Ronald got nothing on these. And just like that, you have a supply of sourdough English muffins to toss in the freezer (they freeze well). Or, if your wife and kids go through them like candy, make a double batch. I finally made these after letting the sourdough mix sit for a few days…turned out fantastic. 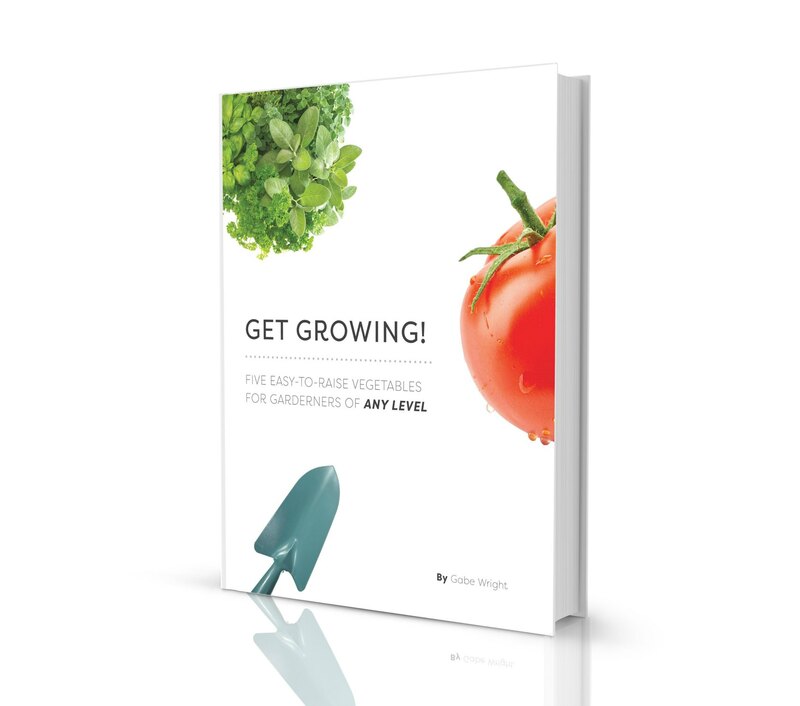 Usually when I try something new it needs some tweaking…but not this recipe. It turned out great and you’re right…forget Thomas’ or a McMushy muffin…Thanks for sharing it! We love these! I bake them in the oven because I am lazy and I make a triple batch at a time. They turn out wonderful! Thank you for the recipe! Just made some tonight with homemade coconut milk and they were amazing! My family actually said they were better than normal (I usually use raw cow’s milk). Anyone with a dairy allergy should try coconut milk instead of water. Thanks so much for the recipe! Fantastic – glad you liked them! i tried making these, but I did not get anywhere near 10, my dough was also very sticky what did I do wrong? The number can be variable depending on how thin you pat it down, but you should at least be getting close to 10-12. The dough, ideally, should be somewhere about 1/2 – 3/4″ thick. They’ll rise as they cook, so the dough doesn’t need to be super thick. My first attempt was too sticky as well – just add a little more flour the next time. This isn’t an exact recipe, just because it varies depending on how soupy your starter is. If the starter is really thin, you’ll need more flour. Don’t give up! Thinking about making these, but I have a question. After you mix the flour and milk into the starter, do you let it sit in the fridge or on the counter? Seems to me if you let it sit on the counter that the milk would spoil and ruin the dough. Thanks for any advice. You can do either, although if you put it in the fridge, the activity of the starter slows down significantly, so it’ll take much longer to proof. 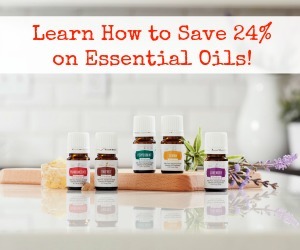 If you left it out in the sun on a hot day for 12 hours, maybe you could start to be a little concerned, but even that might be a stretch. Leaving it overnight on your counter at room temperature will not cause any problems. Even if you started with milk that was already turning sour, you’d basically just end up with buttermilk English muffins. Fresh milk really doesn’t go bad that quickly. Enjoy! Thanks. I’ll let you know how they turn out. Gave this recipe a try and the muffins did not turn out well. They tasted great but their texture was more like a biscuit or a roll. Not sure what I did wrong. I believe I will go back to the Julia Child recipe I have used for years and see if I can convert it to sourdough. Sorry to hear that! I don’t think I’ve ever had it turn out biscuit-like – how long did you let it proof? It should have some time to develop the proteins, which will lead to those nice nooks and crannies. If it was too crumbly, it may not have risen long enough. But try whatever works – if you have another recipe, substituting a small amount (1/4 cup-ish) of starter for the yeast should work well. Good luck!